Gardening on windy and exposed sites can be more difficult and hedges are no exception. To make things easier here is a comprehensive list of hedging plants that will grow successfully in these conditions. The easiest route to growing hedges on exposed sites is to start with small plants from our list of suitable species, prepare the site thoroughly and make sure they are kept firm - and keep checking until they are well established. Hedges For Exposed Sites – Prevailing winds can cause a lot of damage with in a garden, it is therefore very important to select the right plants that can cope with the challenges of these conditions, a well chosen and sited hedge can make a huge difference to the microclimate inside your garden. This will allow many other garden plants to grow more successfully from the shelter that the hedge affords as well as making your plot a nicer place to be for a barbeque and a tipple! When planting hedges for exposed sites it pays to get the odds in your favour before you start, if at all possible choose smaller plants rather than larger. These will be less susceptible to wind rock which buffets the new hedge to and fro, opening up a hole around the central stem that may fill with water causing a high failiure rate. By choosing small plants, many species may not even need staking if well firmed in saving time, effort and expense. (Although it is essential to keep a close eye for the first season). If you are planting evergreen or semi evergreen hedges for exposed sites you can improve prospects by protecting the new plants with Windbreak Netting deployed to intercept the prevailing wind (This most certainly WILL need firm staking to keep it in place!). Bare root evergreen hedging plants are particularly vulnerable to drying winds taking moisture from the plants before the root system is established to replenish it again. It often pays to prune the new plants after planting to reduce the leaf area and restrict water loss. Planted in this manner a new hedge will be more stable and the reduction in size will be caught up quickly. Cherry Laurels, Privet, Cotoneaster and Hypericum will all benefit from this treatment. Bare root Yew hedging is best left untrimmed, buy the smallest size if possible though. If you really cant wait, buy slightly larger potted hedging plants and make sure they are firmly staked, large rootball hedging plants on very windy exposed sites are a poor combination unless you go to extremes protecting them. Good soil preparation is key, making the planting site as enticing as you can to the new developing roots so the new hedge gets a foothold early on. Adding Rootgrow at planting time is another big help to early establishment. Mulching after planting will reduce weeds and stop the soil surface from drying too quickly. Suitable species of hedges for exposed sites are listed below, if shelter and wind protection is your goal there are two ways of providing it. 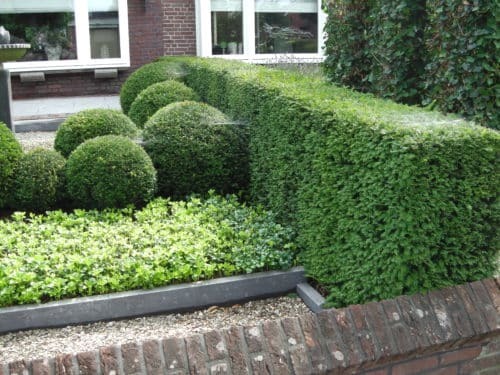 Either with a single species hedge (which you may like to consider planting in a staggared double row). Tough and reliable species include Green Beech, Hornbeam, Cotoneaster, Elaeagnus, Holly, Privet and Pyracantha hedging plants. If you have space – plant a shelter belt of trees and shrubs. This will give wind protection at high and low level and for some considerable distance inside the line of trees. The most effective shelter belts combine a mixture of taller deciduous trees (such as Hornbeam, Beech, Birch, Alder and Poplar), and evergreen species (such as Scots Pine and Norway Spruce.) interspersed with a mix smaller and larger hardy shrubs such as Hazel, Holly, Guelder Rose, Hawthorn and Dogwoods. Shelter belts are usually planted in multiple rows with the trees at 1-2 metres apart each way, the more rows of trees then the wider and more effective it is. 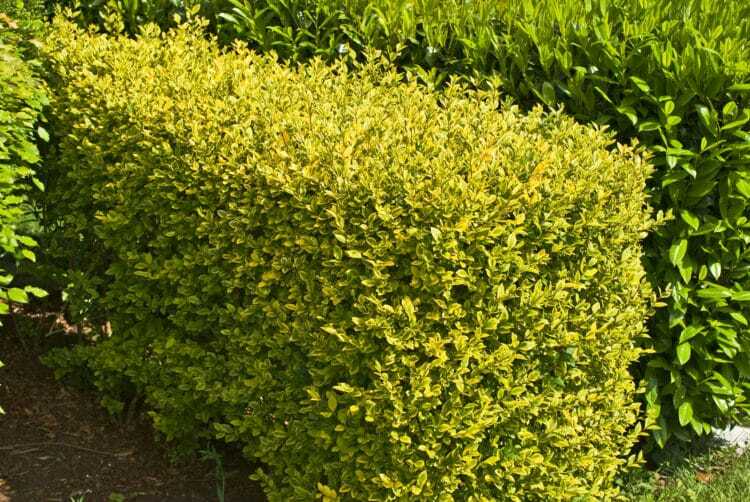 If you have any questions about hedges for exposed sites or any other of our hedging range, please call our friendly sales team on 01580 765600, they will be pleased to help.